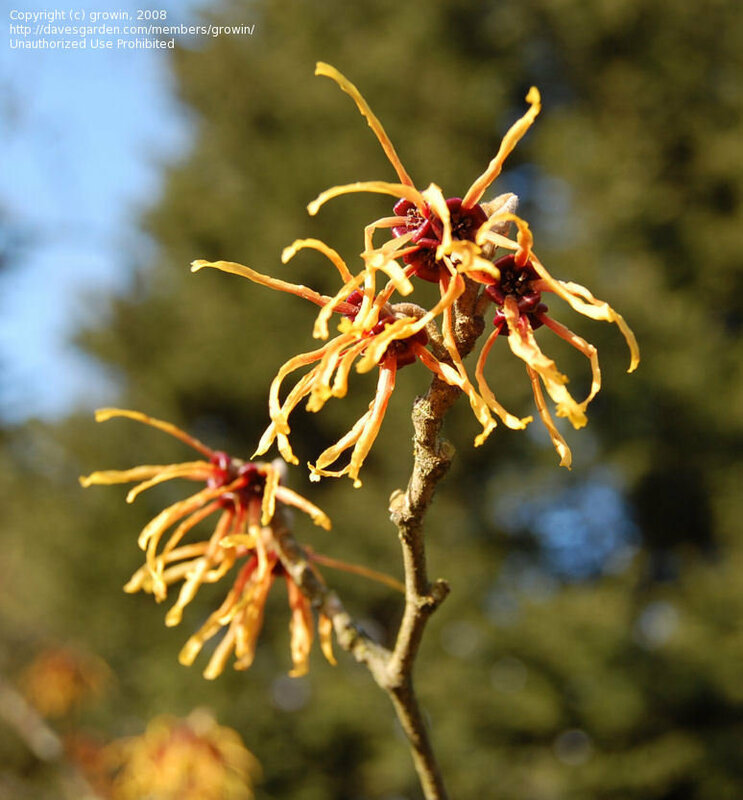 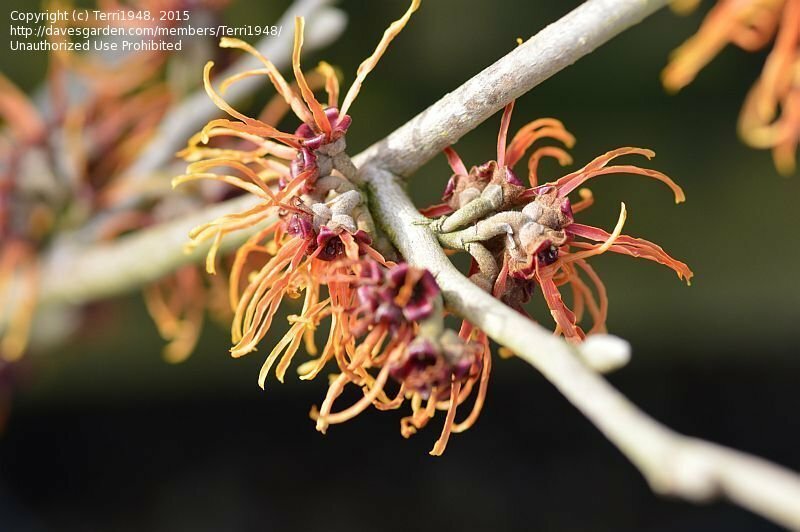 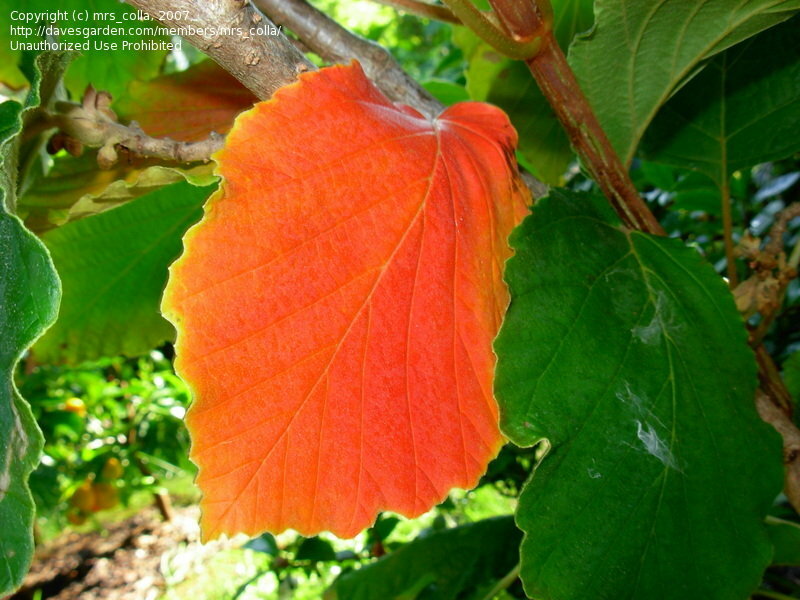 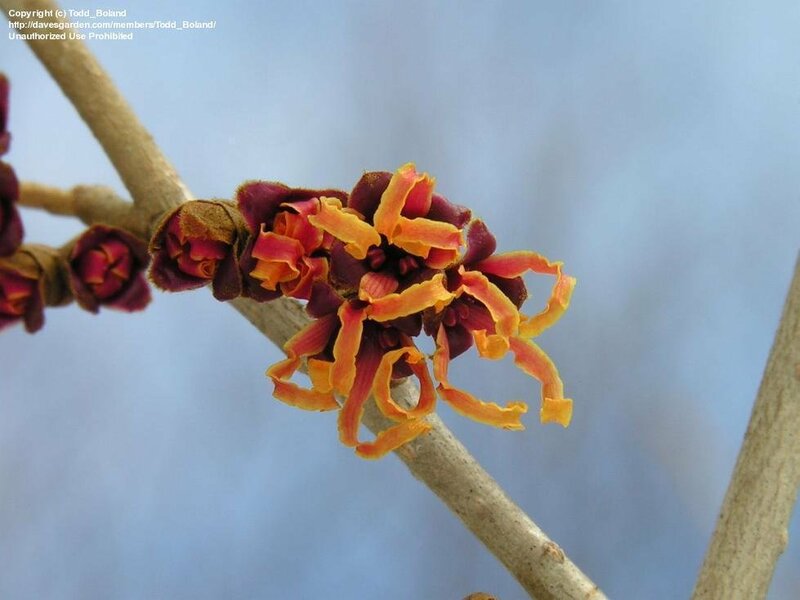 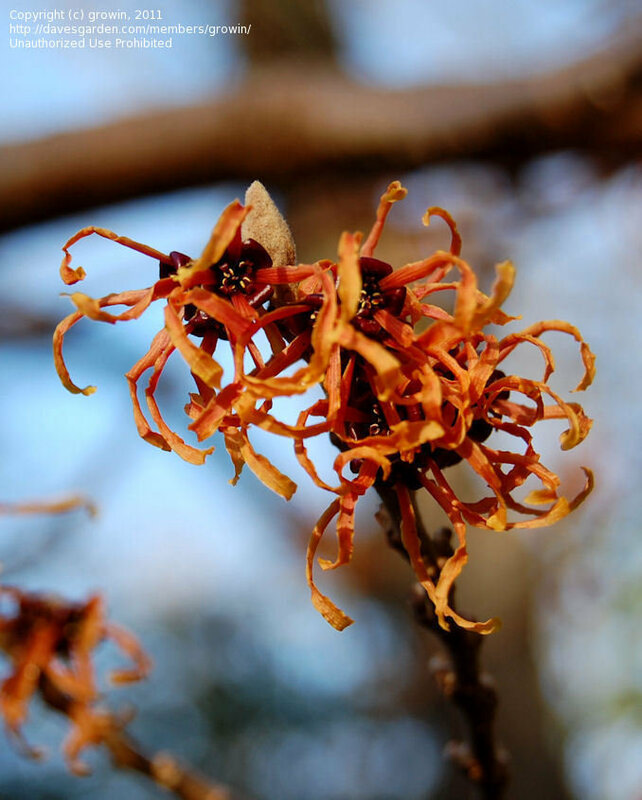 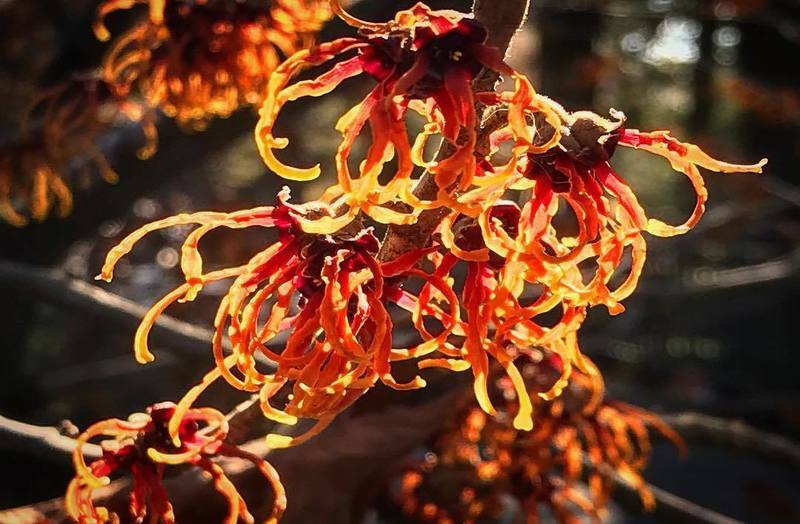 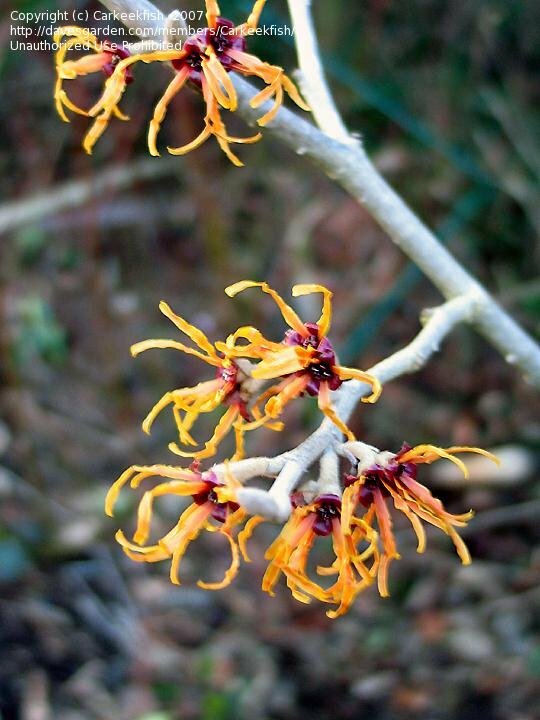 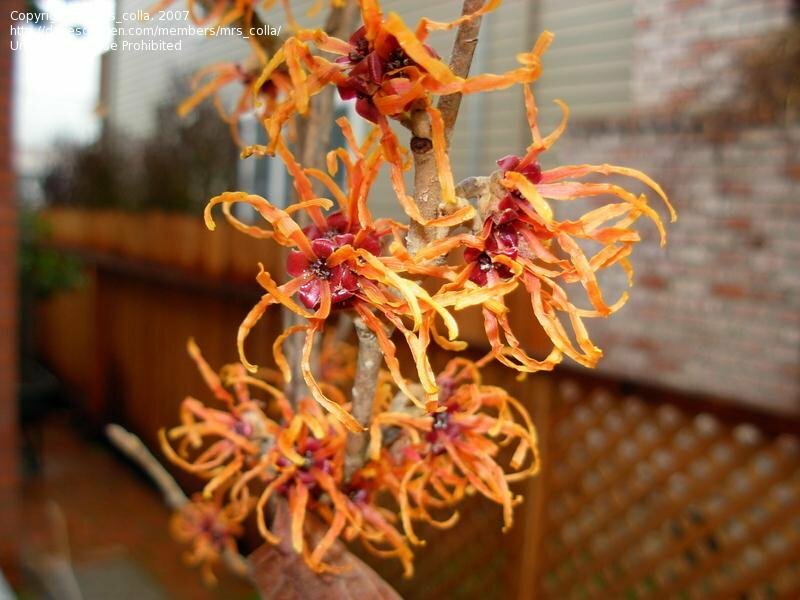 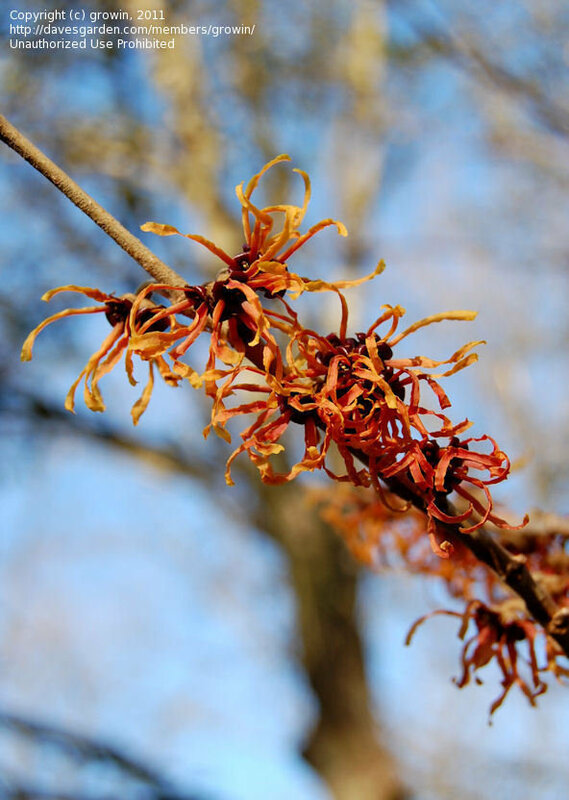 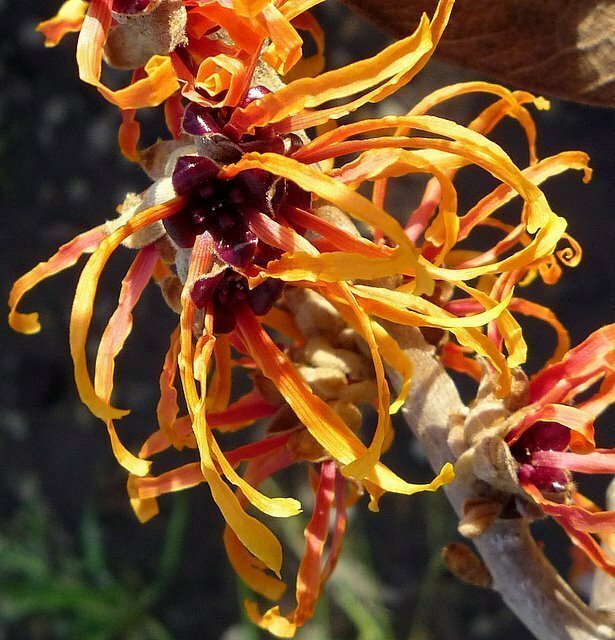 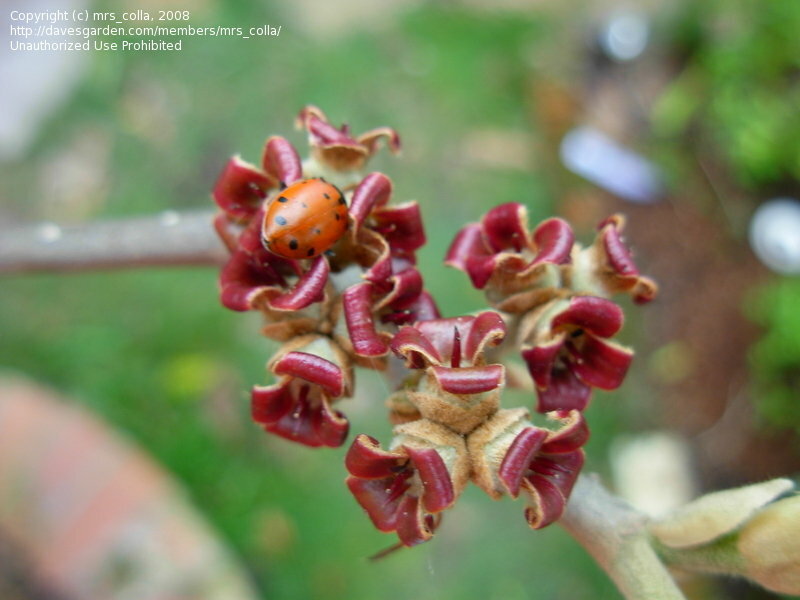 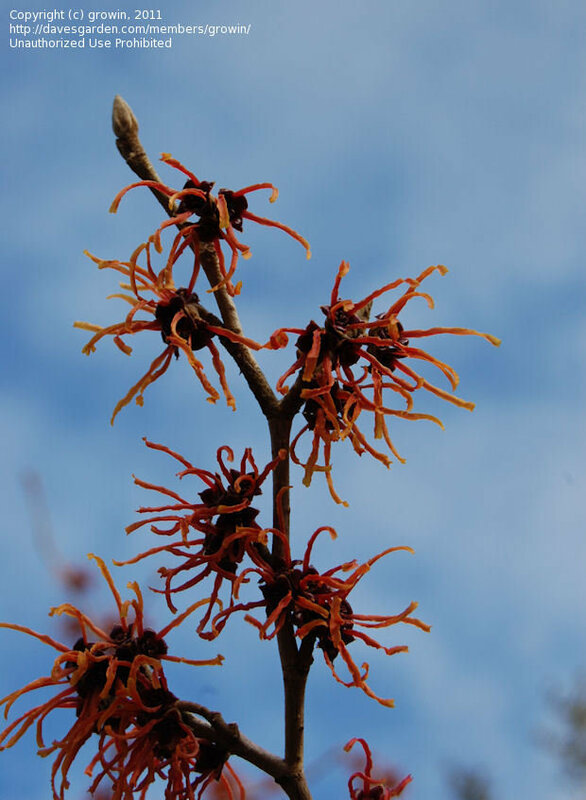 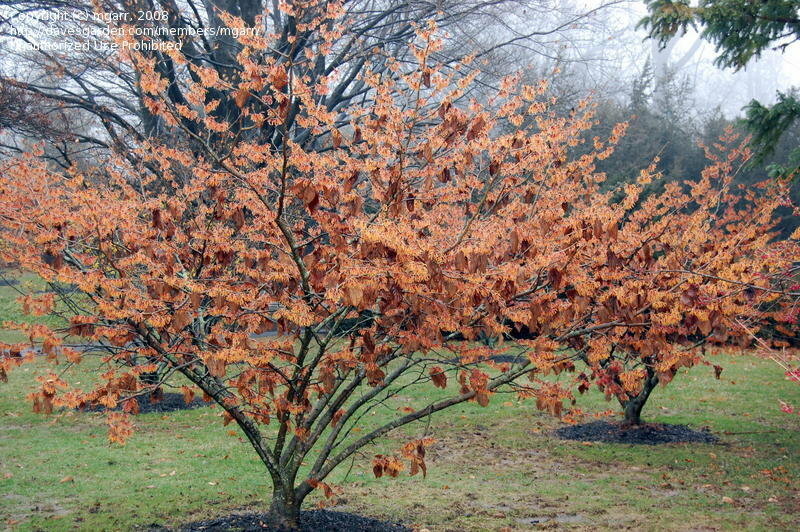 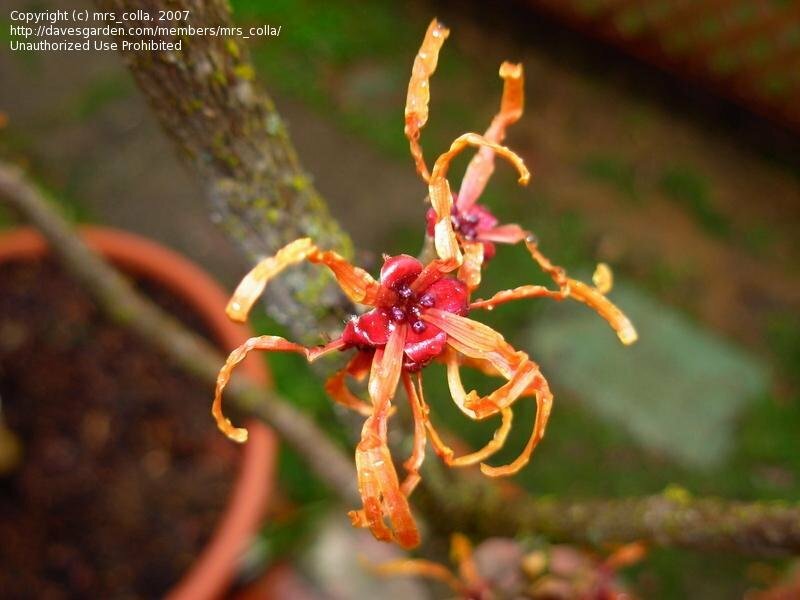 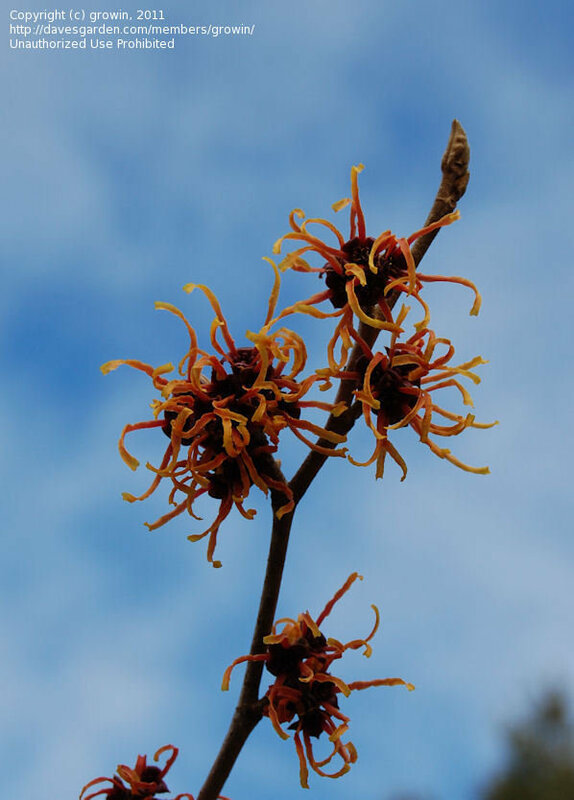 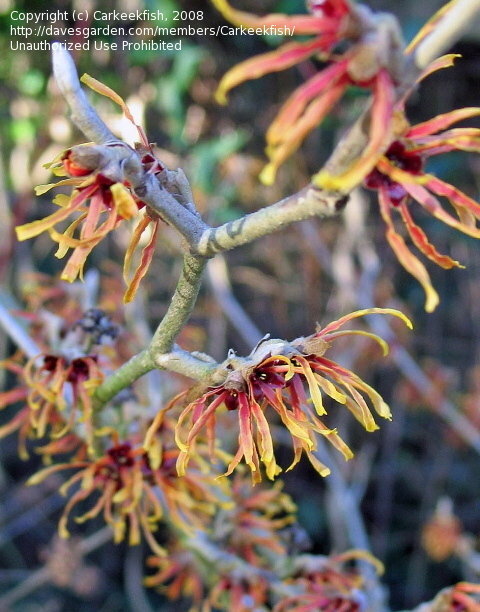 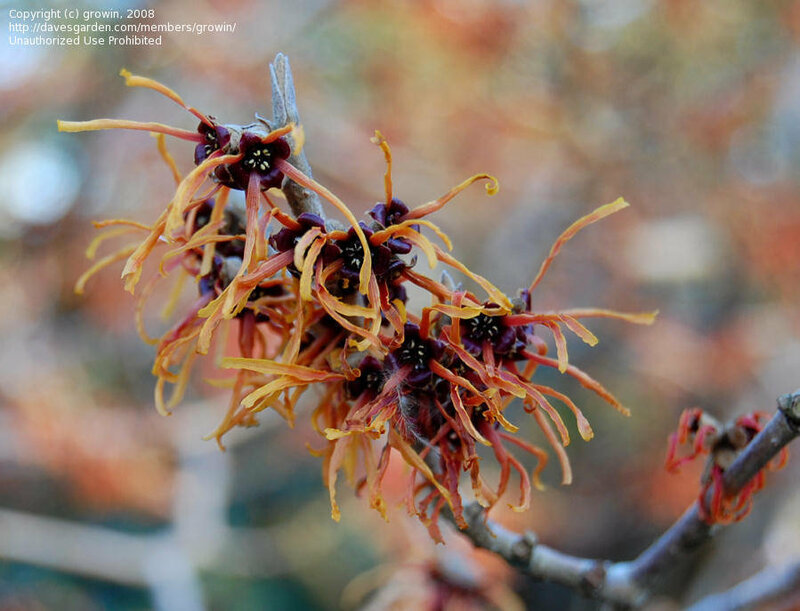 witch hazel 'jelena' with 'diane' and 'arnold promise' behind it. 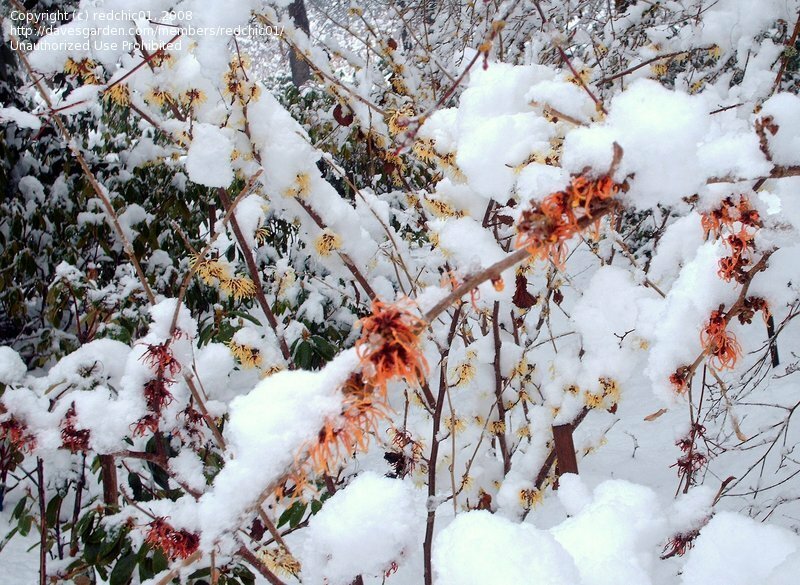 The shrub in full bloom. 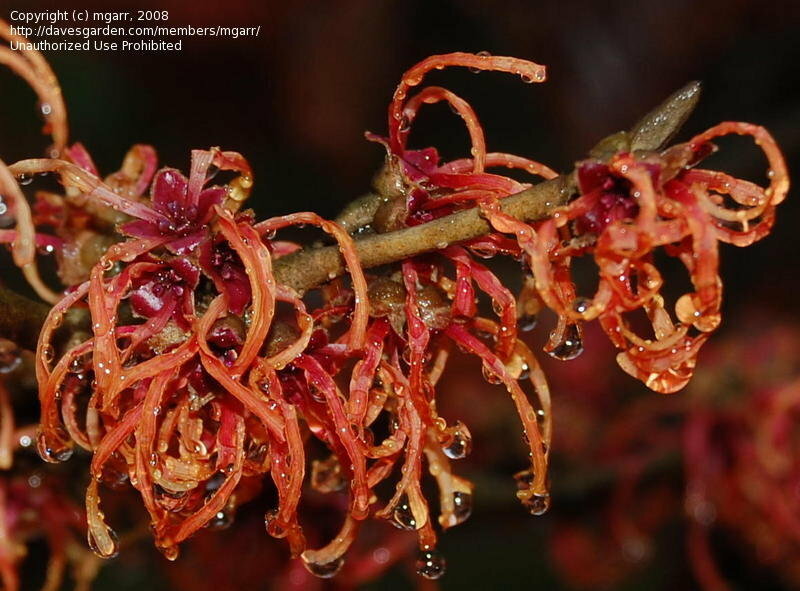 Flowers close up in the rain.